Being published is such an exciting feeling, no matter how many times it happens. Whether it’s a full article or just a singular chosen piece, it’s still so gratifying to see your work in print. 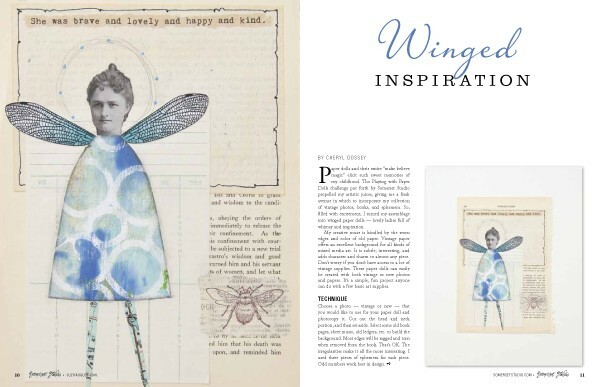 “Winged Inspiration” a three page article, inspired by a paper dolls challenge, also includes easy following how to instructions. 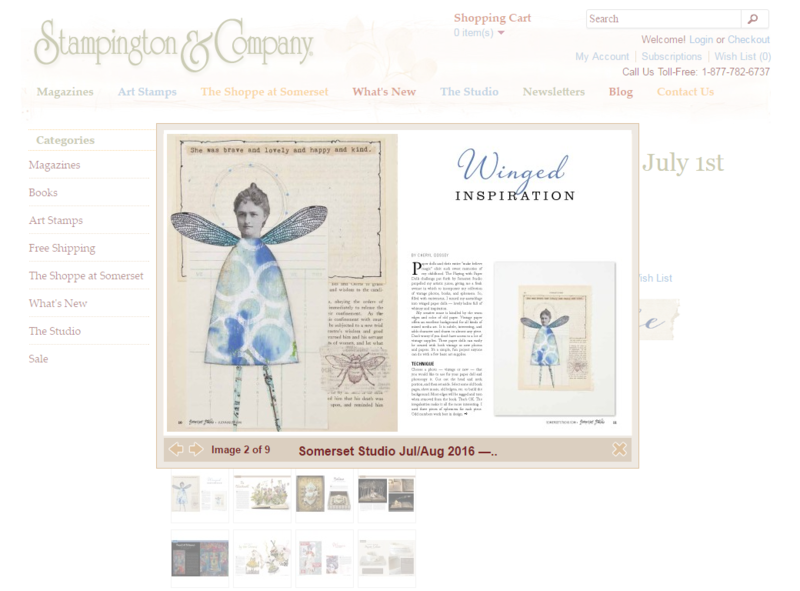 It’s being featured in Somerset Studio’s July/August issue. Available July 1 at news stands or craft stores near you. Follow link below for more information and preview all the wonderful inspiring articles in this issue. Hi, Cheryl. I love your work! So whimsical and fun. I remember seeing it in that issue. 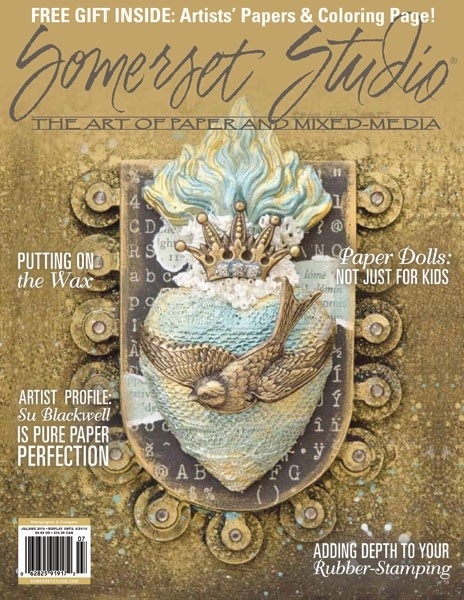 My art (not an article) appeared in the same issue (Mermaid Garden in the expressions section). First time published. Thank you so much and I wish you the best of luck with your wonderful art!